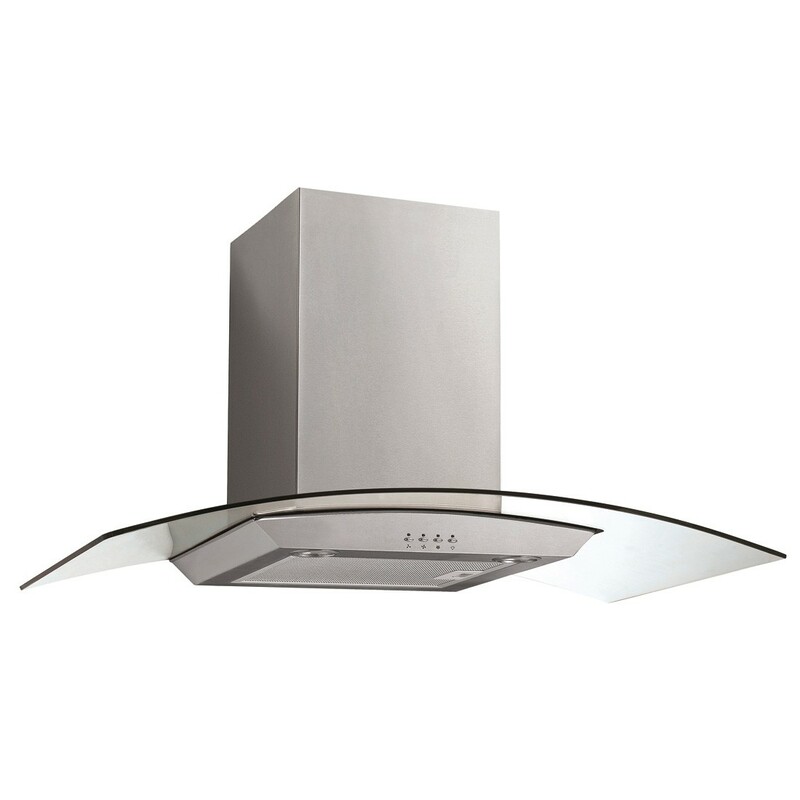 A 90cm stainless steel and curved glass canopy with a strong motor delivering air extraction at 750m3/hr. A 3 speed push button control provides ample power for all cooking and extraction purposes. Aluminium grease filters attract the grease from cooking vapours, reducing odours and optimising performance. The filter can be washed in warm soapy water and is long lasting.